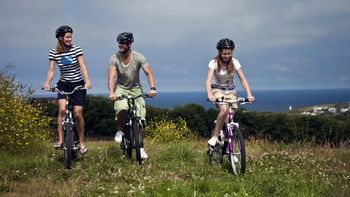 Par Sands is a 5-star holiday park situated next to Par beach and the ultimate summertime Cornish resort. The park boasts a mixture of caravan and lodges which are kept in tip top condition and graded according to standard and facilities. Onsite you’ll find a swimming pool, a mini putting green, a multi-use sports court, an adventure playground and a freshwater wildlife lake. Wi-Fi is provided free of charge in the leisure complex and there is a launderette. This resort is perfect for guests looking for a base near the beach from which they are in a great position to explore Cornwall. The beachside position is great for dogs and their owners, who’ve chosen dog friendly accommodation, your pooch will love destroying sandcastles, chasing waves and catching a frisbee on their daily walk! There is a pub within easy walking distance of the park just a short distance off the beach and nearest grocery shop is just a short 14-minute walk away. The resort's beachside restaurant is perfect for a family night out when you don’t feel like cooking or venturing outside of the park. Pop in for a drink at the bar or sample some delicious Italian cuisine. The holiday park is located right next to Par beach, which is over half a mile long and pet friendly all year round, with a beach café, pub and shop. Carlyon Bay is just 2 miles to the west. On site there's an indoor heated pool, perfect for your daily swim whilst on holiday. The pool is not lifeguarded so please note adults will need to accompany their child whilst swimming. The multi-use sport and games area is perfect for children and adults. Shoot some basketball hoops, have a kick about with a football or use your imagination! Polish up your golfing skills on the mini putting green. 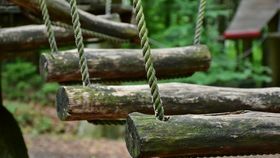 The whole family can enjoy this activity with balls and clubs available to hire. When you stay at this resort, you can trust that your caravan or lodge is going to be in top condition, you’ve got the beach literally on the doorstep with Carlyon bay next door and iconic charming towns and villages like Fowey or Charlestown just a small distance away. 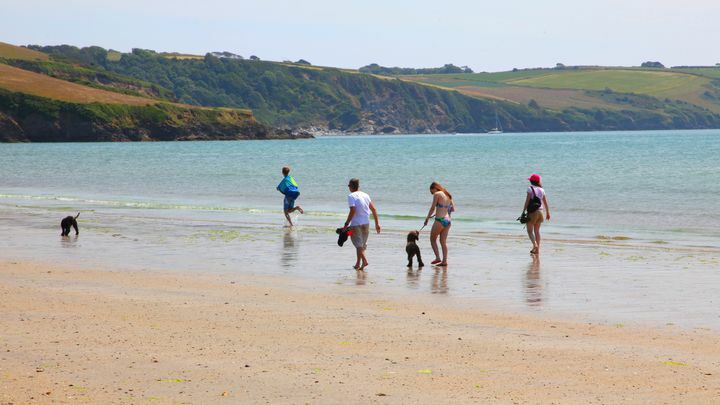 A golden beach with rockpools and beautiful sandy coves, Polkerris is ideal for families. Popular restaurant ‘Sam’s on the Beach’ is situated here among others and there are some fantastic watersports schools offering instruction in a variety of different disciplines. Get your holiday thrills at Hangloose, where you’ll find death defying drops, extreme freefalls and terrifying vertigo. Try the Skywire, the gravity swing and the big air drop on a multi-ticket or alternatively book a single attraction. 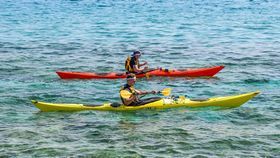 Kayak down the river Fowey under the experienced hand of a professional and enjoy the beautiful scenery from a brand-new perspective. If you’re lucky you might run into Serena the local seal! The nearest pub is The Ship Inn, situated a short walk away. 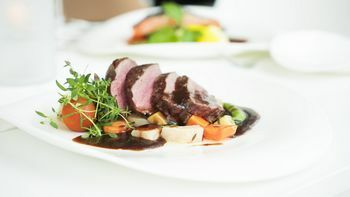 Nearby restaurants include Wreckers, a Steak and Seafood restaurant, Sam’s on the Beach, a US style diner serving a diverse menu and Waves, a rustic style restaurant. The resort is within reach of Cornwall’s most popular attractions. 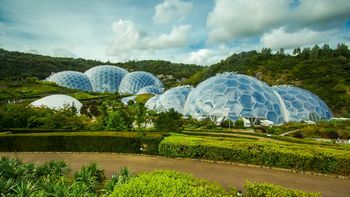 The Eden Project, The Lost Gardens of Heligan or Flambards Experience are just a few of the great day trips to consider for your holiday. 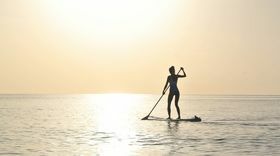 The holiday park runs watersports sessions on the beach during peak season, head to reception to find out the details. However, if you prefer to stay on dry land, why not try walking from Par to Fowey or cycling the Pentewan trails? Looking for some peace and quiet away from the noise whilst on holiday this year? Discover the best beaches for relaxation in Cornwall. Looking for dog friendly activities and ideas to try? Discover pet friendly beaches, attractions and restaurants in our handy blog guide. 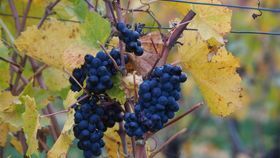 Even the sunniest places in the UK have the occasional grey day - here's some tips on what to do in Cornwall when raindrops start to fall.